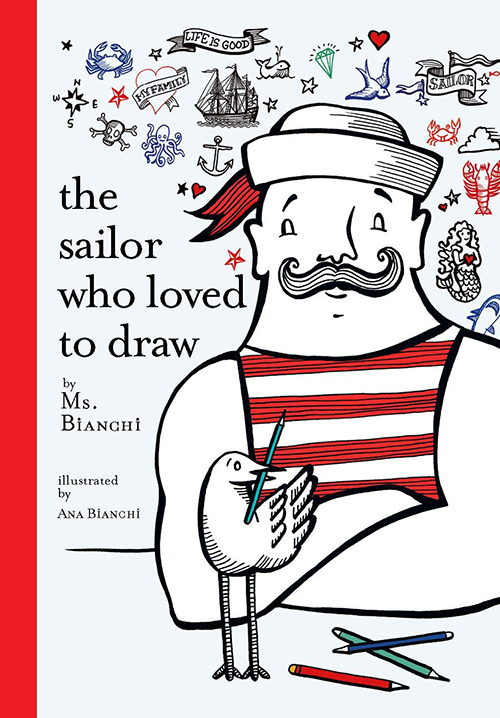 Anton the mustachioed sailor never voyages anywhere without his beloved sketchbook. 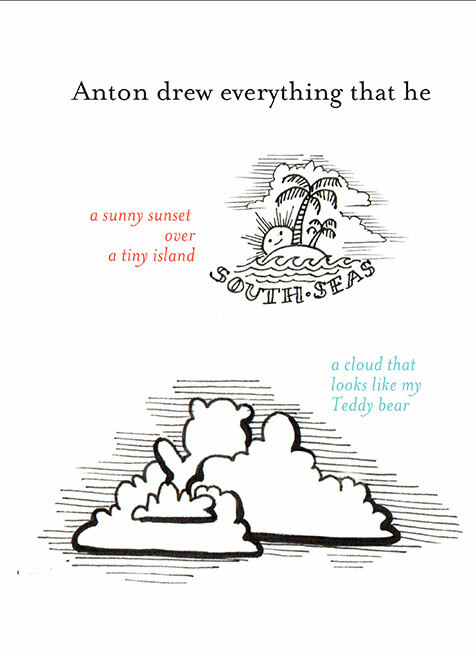 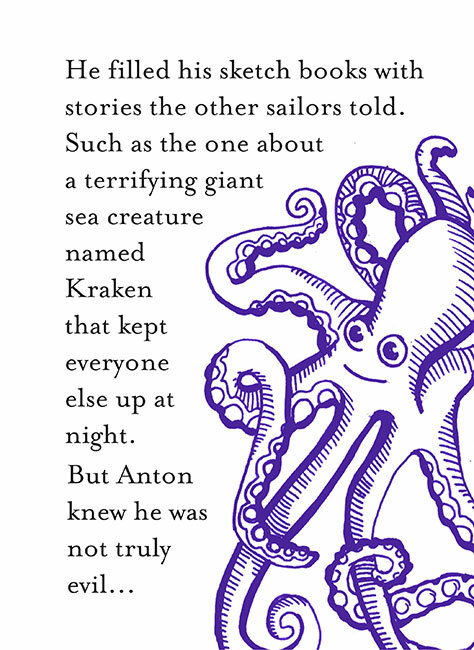 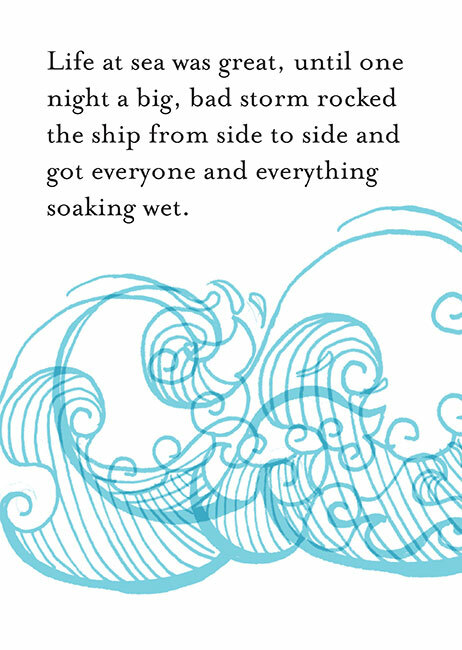 Whether drawing seagulls, bottles, krakens or mermaids, he never feels quite himself unless he is observing and recording the nautical wonders around him.But what is the fate of ink and paper when met with a terrible storm at sea? 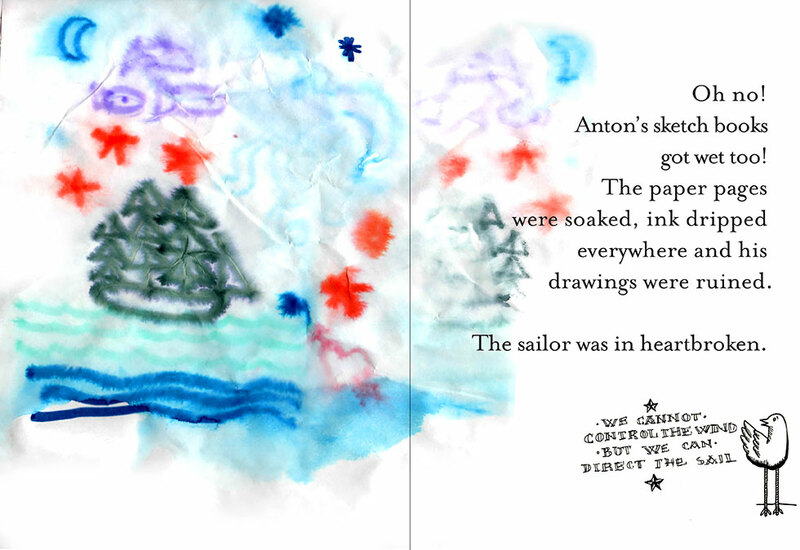 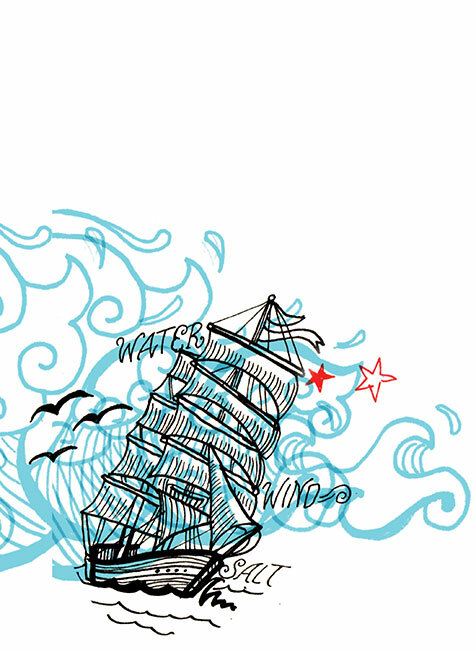 What becomes of a thoughtful, creative sailor when his drawings are waterstained and ruined? 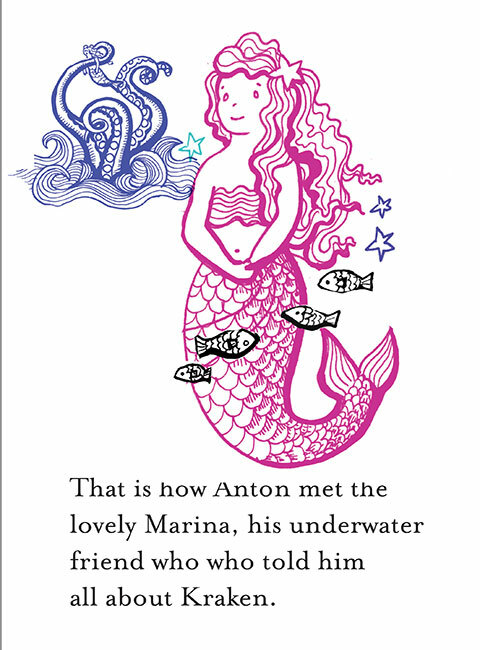 His pal Skinny Jean just might have the answer…This brand-new classic written and illustrated by Ana Bianchi presents a charming, funny tale of loss and redemption through beautiful black-and-white line art with lively splashes and swirls of color, and reminds readers of the importance of finding creative new ways to pursue their passions.